These days, Cameras of flagship smartphones are giving a tough fight to DSLRs. One of the most interesting features of these smartphones is their ability to record slow-motion videos. Slow motion videos not only look cool, they also give you an option to showcase and enhance your photography skills. This feature is mostly available on high-end flagship devices, but this does not mean that you cannot record slow-motion videos in your normal budget smartphones. There are many apps available on the Google Play Store to record slow-motion videos and choosing the best among them can be difficult. In this article, we have listed some of the Best Slow Motion Video Apps that you can use on your Android Device. Slow Motion Video FX is one of the simple app available for recording Slow motion videos. The best part is that all the features are available in the free version of the app. You can go for the paid version if you want to enjoy the ad-free version of the app. After installation, you can just open the app and shoot videos normally. After done with the shooting, you can use the Slow Motion Video FX to apply slow motion effects and also create a time lapse. There is another option to trim the videos and apply the effects only to specific part of a video. 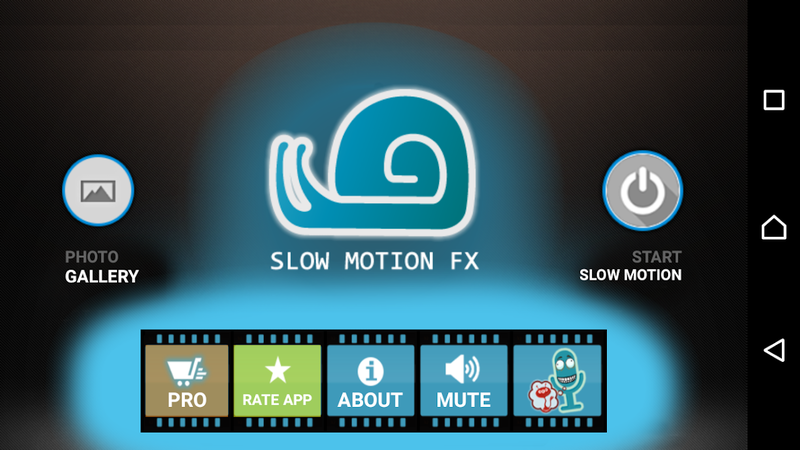 This app offers more functionalities than SlowMotion Videos FX and is quite simple to use. Simply open the app, record your videos normally and when you are done with it, adjust the speed of the video as desired. With Fast and Slow Motion Video tool, you can make the videos up too 8X faster of 1/8 times slower. 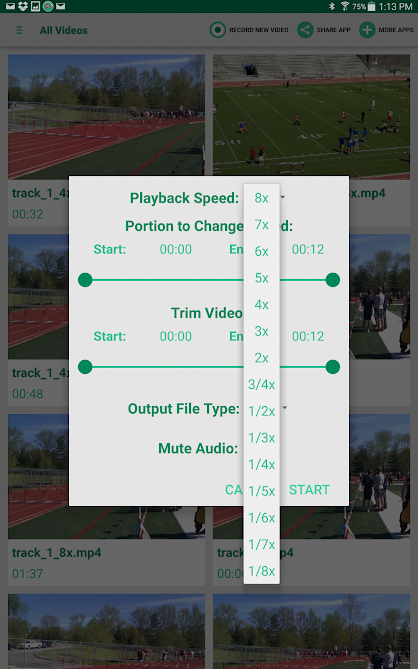 This app also lets you trim the videos and apply effects only to selected part of the videos. One interesting feature of this app is that you can select the various output formats (.mp4, .avi, .mkv etc.). All these features are available in the free version of the app, However, you can always upgrade to get an ad-free experience. Video Slow Reverse Player is another tool which can add slow and fast motion effects to your videos. This app is also simple to use and works like any other app. After recording the video, you just need to tap the – sign button for the slo-mo effects and + sign button to fasten the video. A single tap reduces/increases the video with a speed of 0.25X. You also get an option to reverse play a video with this app. Video Slow Reverse Player is also available free of cost, while you need to pay for the ad-free experience of the app. VideoShop- Video Editor is one of the best app available for Android and comes with added features. Apart from adding slo-mo effects, you can also add music, record voice-over, create GIF within the app. All the basic functionalities can be availed in the free version of the app while you need to pay for ad-free experience and to unlock some added features of the app. 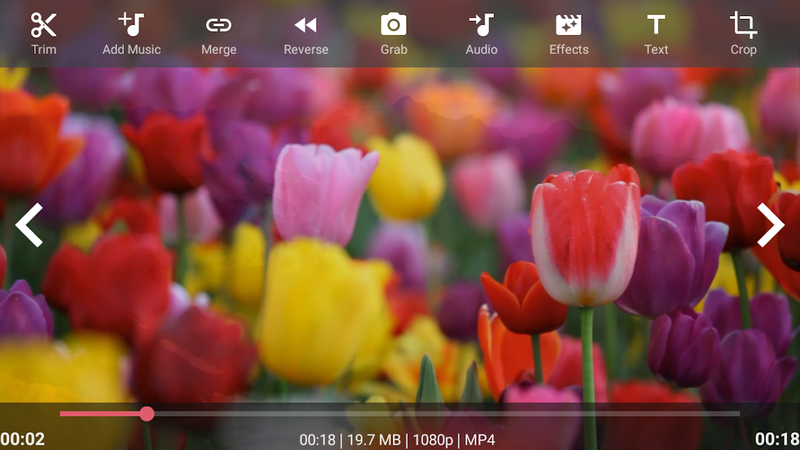 Androvid Video Editor can be called as one of the smartest slow motion apps available for Android. You can apply slow motion effects to new videos or any other video from your gallery. Not only this, you can also apply Instagram’s special effects like fade, vignette, vintage and more. 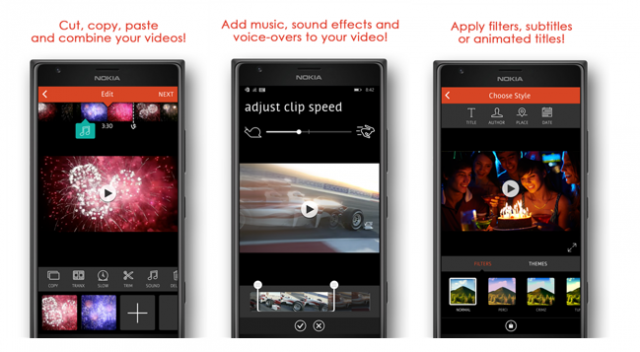 You can also convert existing videos by editing and thus save space on your device. Androvid also allows you to watch videos in slow motion as well in reverse mode both at the same time. 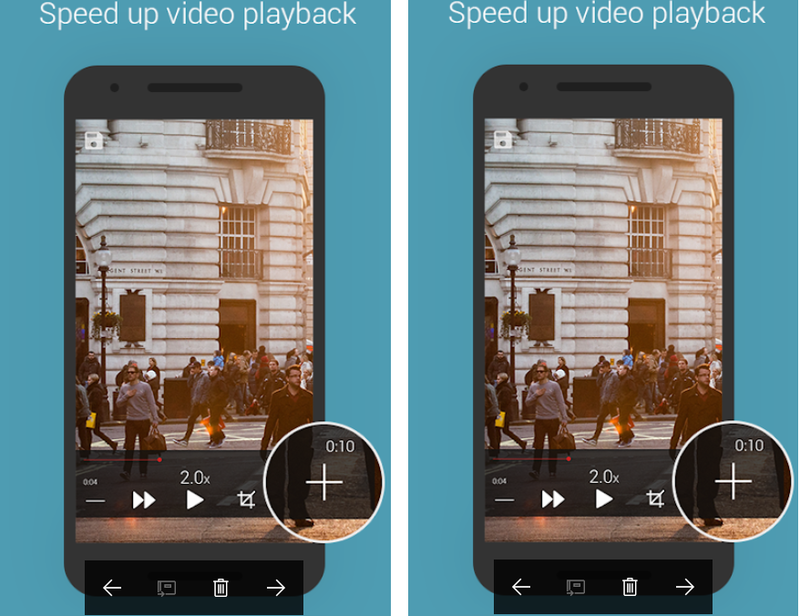 So, this was our list of Best Slow Motion Video Apps for Android. All these apps mentioned above are simple and easy to use and will do your job. If you are using any other apps to add slo-mo effects, then do share with us in the comment section below.